When the U.S. drew Germany, Portugal, and Ghana for its 2014 World Cup group, the immediate consensus was that we were totally boned. But is it possible, after rigorous quantitative analysis, that we are less than boned? 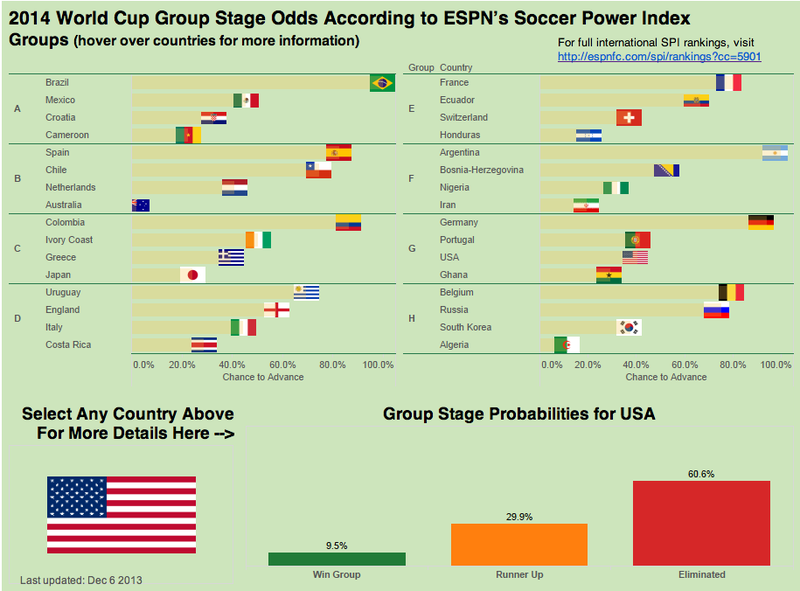 The Soccer Power Index (SPI)—which Nate Silver developed for ESPN way back in 2009—tackles the difficult task of ranking international team strength, drawing individual-player data from both international and club competitions. It's a great deal more complex than FIFA's world ranking, and the two systems differ in their placement of a couple key teams. Notably, Portugal. FIFA ranks Portugal fifth in the world—their highest position since October 2012—while SPI ranks them at 16th. That's just one spot ahead of the U.S. (17th), which puts them in pretty much a dead heat to advance in SPI's projections. This gels better with what some U.S. soccer fans have been saying about Portugal—once you look past Cristiano Ronaldo, they're not so scary—and makes the draw look a lot rosier for the USMNT.